I was provided with a complimentary 3-night stay during this ESPN Wide World of Sports at Disney event. Regardless, all opinions are my own. 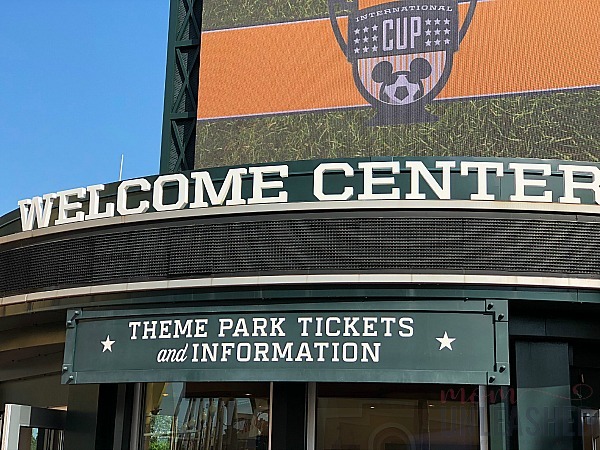 A few weeks ago, I shared an insider’s look at the ESPN Wide World of Sports venue at Walt Disney World with you. In case you missed that post and want to find out more about this amazing facility in Florida, you can check it out here. To say that the facility is impressive is an understatement and to tell you that they do youth sports right just doesn’t do justice to the experience that they have fine tuned for young athletes. 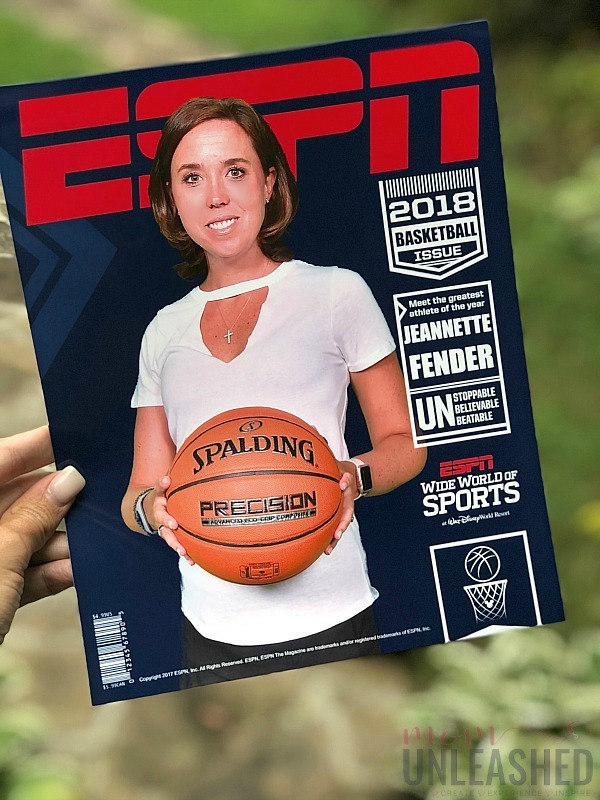 Over the last few weeks, as I’ve thought back over my time spent inside the ESPN Wide World of Sports and talked more with my own teen athlete about my experiences while I was there, I’ve gone back again and again to that feeling of chill bumps that I continually had running down my arms with every aspect of the visit. 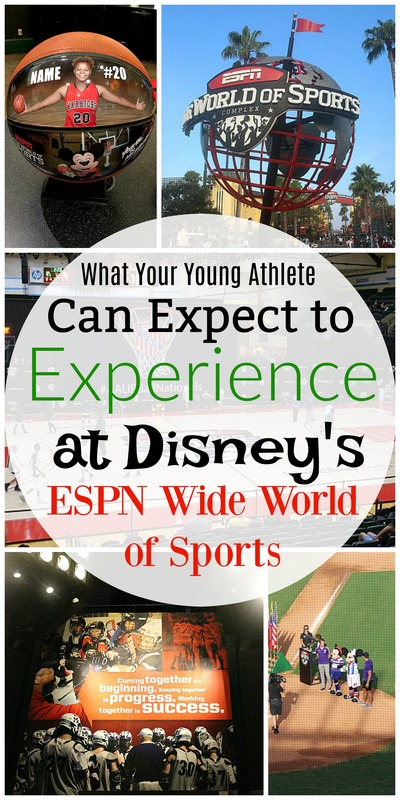 So, instead of simple hoping that my last post would do justice to the level of commitment to young athletes that I saw, I decided to come back and tell you exactly what your young athlete can expect to experience at Disney’s ESPN Wide World of Sports. Now, before I get into all that young athletes experience while they are on location at the ESPN Wide World of Sports, let me clarify that I’m sure I didn’t see everything! Seriously, there is so much Disney magic that goes on at this facility that I’m sure my visit just scratched the surface. I tell you that because I want you to know that if your child’s sports team is ever invited to complete at the ESPN Wide World of Sports, you gotta go! Seriously, don’t think about it. Just go! To see a list of currently scheduled sporting events schedule at the ESPN Wide World of Sports, click here. 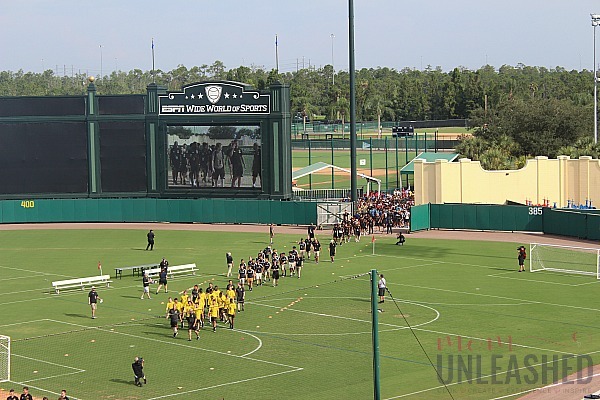 So, now that I’ve told you that you HAVE to go if you ever get the opportunity, let me share with you what your young athlete can expect to experience when competing at Disney’s ESPN Wide World of Sports. 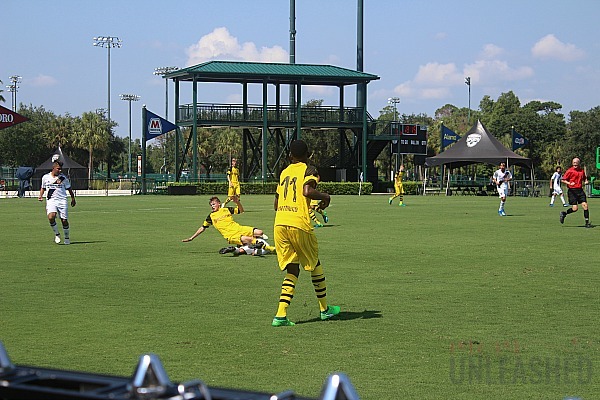 If you child has dreamed of playing on fields or courts that are perfectly maintained and a step above youth courts and fields around the county, they won’t be disappointed when they arrive at the ESPN Wide World of Sports. From soccer to basketball to baseball and beyond, this facility is at the top of it’s game when it comes to their field and courts. Not only are these facilities designed to show young athletes what it feels like to play at the next level but they are perfect for fans as well. As a sports mom myself, I’ve traveled with my son’s team and seen my fair share of facilities and I’ve never seen anything like this! The only way I can describe it is as a compound that’s the stuff athletes dream of. Your child will be playing on the best surfaces surrounded by the best young athletes in their sport! 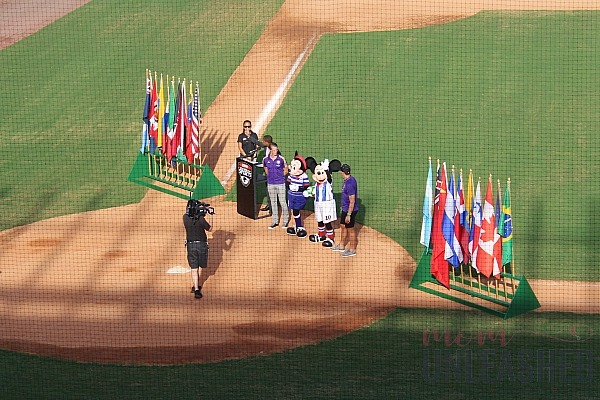 While my son would admittedly head to the ESPN Wide World of Sports just to play on their courts, the experience soars to a whole new level with opening ceremonies for tournaments. 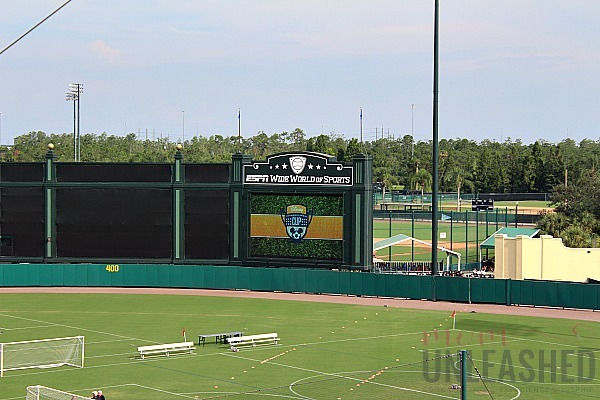 I just happened to be in town during the Disney Cup Invitation Soccer Tournament and got to experience the opening ceremonies first hand. There were announcers. And big screens. And Micky and Minnie. Truly, it felt more like the Olympics opening ceremonies than those of a youth soccer tournament. Just to be a part of this moment in those kid’s lives where they were made to feel like an absolute star was amazing! As they marched across the field as their team name was called, you could see on their faces that this is an experience they will never forget. While the facilities themselves are pretty spectacular, the level of care which Disney provides is next level. Your young athlete will have their gear taken to the field and waiting for them when they arrive at the facility. 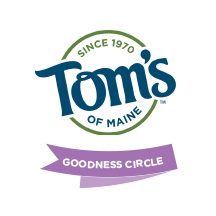 They will have box meals that provide for their specific needs. They will have transportation and attention any time they need it. They will be made to feel like stars. While competing at the ESPN Wide World of Sports facility, they will have access to training rooms and a number of facilities to help them perform at their best. And when the day is done? They will be able to eat in the ESPN Cafe where meals are created with the young athlete in mind. From the time they arrive until the time they leave, every need is anticipated and provided for so that they can focus on what they came for….to complete. 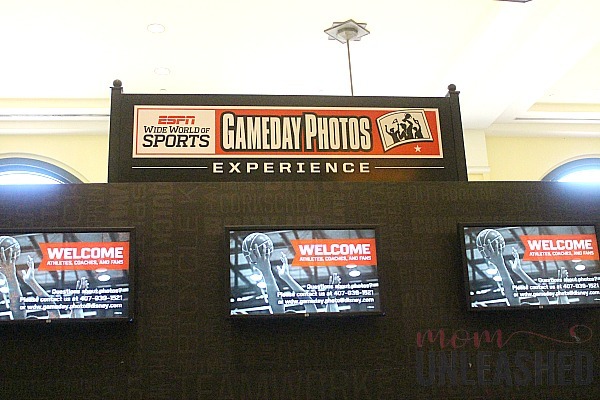 I promise your child won’t want to forget their time at the ESPN Wide World of Sports and they won’t because there are photographers constantly on the fields and courts, capturing every moment so that parents can simply focus on watching their children. When that big moment happens, it will be captured on film so that you can easily access it and take it home with you. Perhaps equally impressive is the ability to have your young athlete’s face put onto a souvenir that they can use to remember their experience forever. How about having this once-in-a-lifetime experience turned into a ball? You can even have your child’s face put on the front of a magazine (I got to experience this myself and trust me, it’s pretty awesome!). 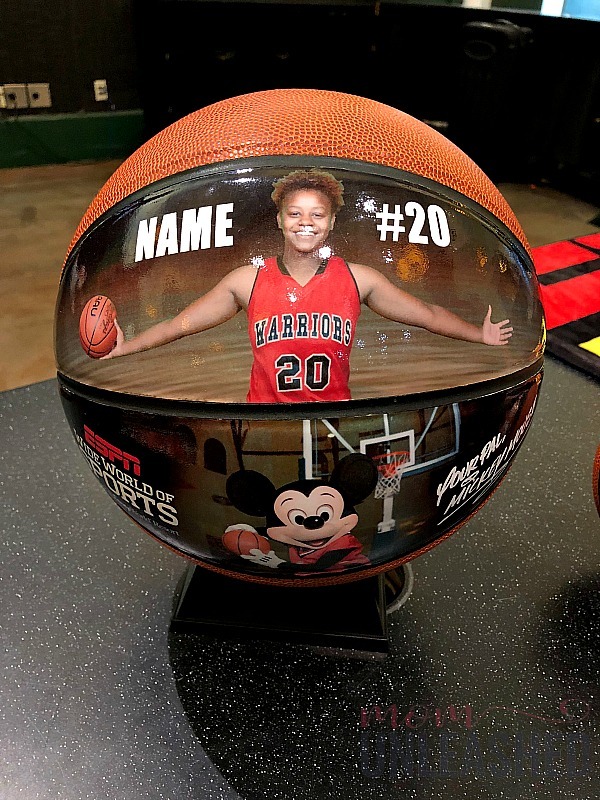 No matter how your child wants to commemorate their time at the ESPN Wide World of Sports facility, there’s an option that will help them transform their memories into the perfect souvenir. And if they happen to be a winner? Well, there are medals that they will treasure forever! 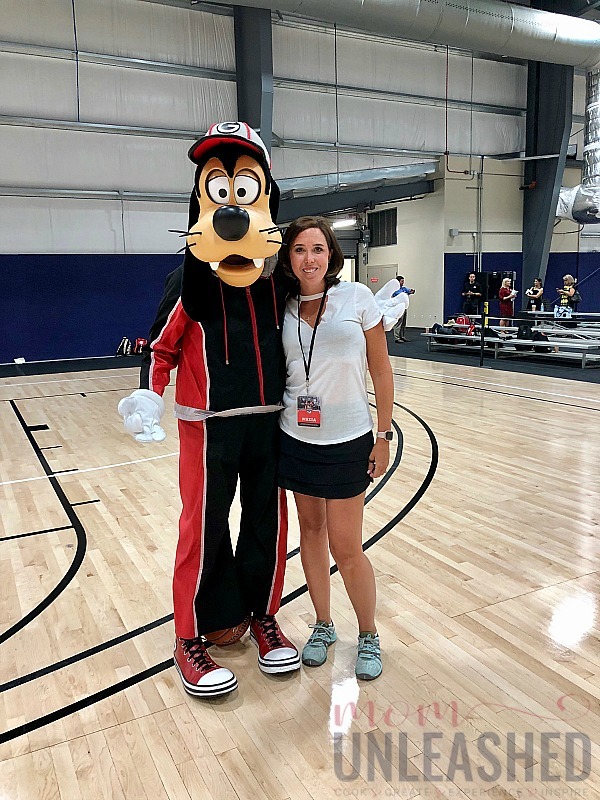 While I know that young athletes come to the ESPN Wide World of Sports complex to complete, it doesn’t hurt that they can experience a little Disney magic while there. You never know who just might happen to pop up around the facility. And rest assured that there’s plenty of ways to work a little park time into the experience as well. In my mind, that was the beauty of this amazing facility. You child can come and complete and give it their all and at the end of the day, no matter who won and who lost, the Disney magic is still there! 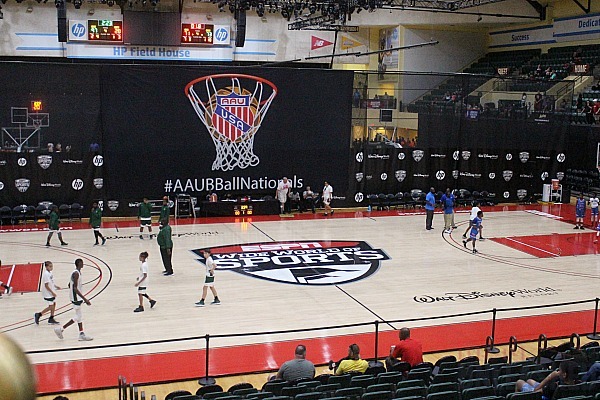 If you want to learn more about what the ESPN Wide World of Sports facility can offer your young athlete and his or her team, be sure to visit their website here. 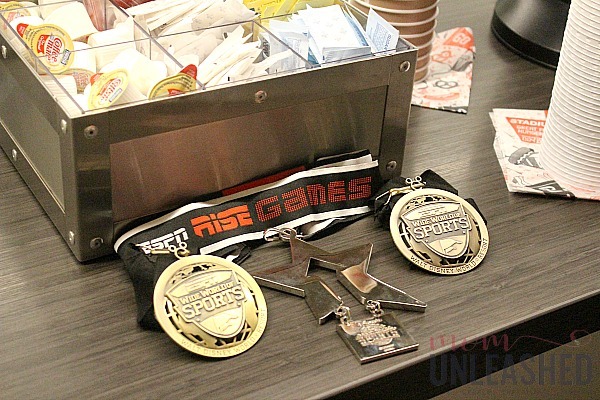 There are a variety of tournaments and events covering a multitude of sports that are constantly happening. While some are invitation only, there are options to have your coach apply for your child’s team to experience this amazing facility so encourage them to do so today! 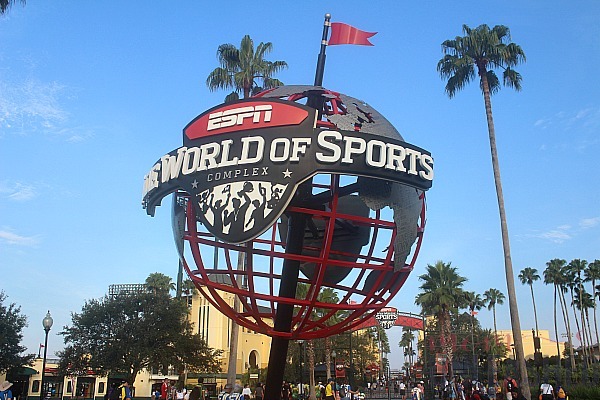 Then, regardless of your child’s level of play or experience, make it a goal for them to complete one day at the ESPN Wide World of Sports, where dreams come true and every game is truly magical. I’d love to know, have any of you had a child complete at the ESPN Wide World of Sports and if so, what was your experience like? This sounds like the most amazing experience for young athletes! What an amazing thing for Disney to do, they really do pull out all the stops when it comes to encouraging them. Really nice how ESPN does this for the young athletic. I can only imagine how excited they would be to arrive and experience everything going on. 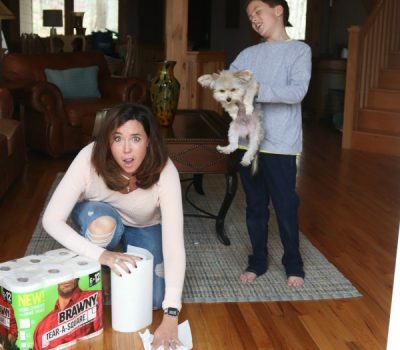 Bringing home items to remember and pictures to capture the moment. What an amazing experience for any young athlete. Disney always goes above and beyond. 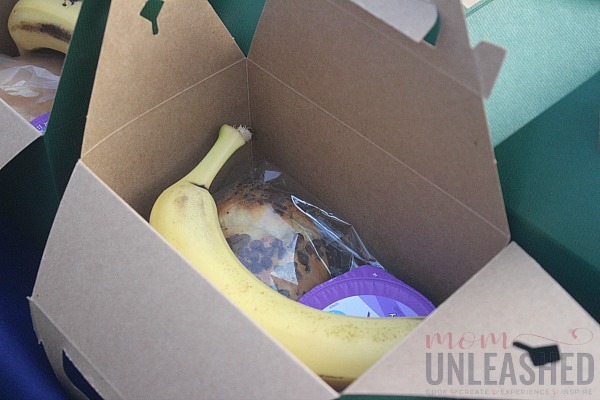 For some reason, I love the idea of boxed meals for their specific needs! How fun!!! We always stay at The Boardwalk, but I really want to check out and try other Disney resorts on our next few visits. 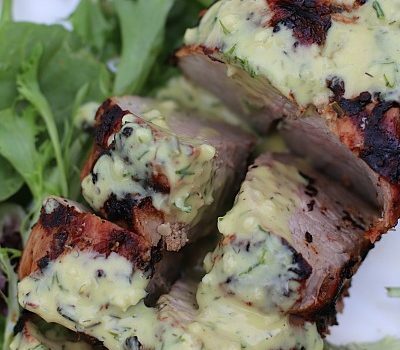 This one definitely looks great for any sports fan! When we were in Florida in May, we drove by this place a hundred times! 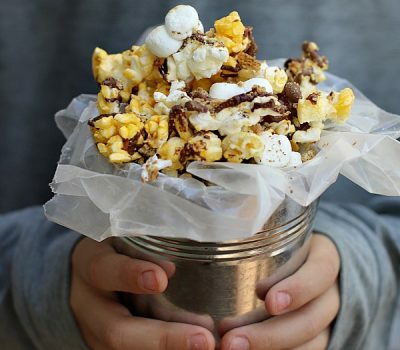 I think we would enjoy this, too, even with no little kids!! I knew some people on this trip and it looked amazing. We have never made it over there, but I am glad I got to read all about it, and I am a Disney fan and believe they always do the best possible job with all that they do! Oh how fun!! I bet your boys had a blast there. Just about everything Disney does is awesome! I didn’t know about this amazing place. Oh this would be so much fun! My kids love playing and watching their sports. My son would live there I am sure of it. This is a really cool place! I can see how someone who is really into sports would be so excited to visit! So cool you can be on the cover of a magazine. Natalie recently posted..My Summer Beauty Must-Haves from Yves Rocher + Giveaway! How cool! We’ve been to Disney World a lot but have never gone here. We might have to check it out. My daughter might start playing sports. 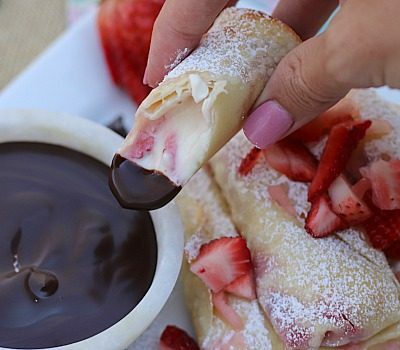 The next time we’re in florida we have to add this to our itinerary. 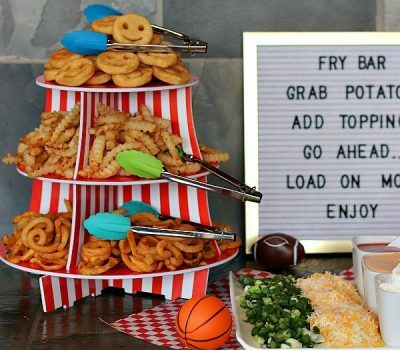 I know the kiddos would love it. Wow! What an experience. That would be something no child would ever forget. Disney doesn’t do anything half way! That’s awesome and perfect for aspiring athletes. I think they’re going to have a fun time there and it’s also going to be memorable. My son is starting soccer this fall as his first sport. He is only four and I can’t wait to do big things like this with him! It looks like such a cool experience! 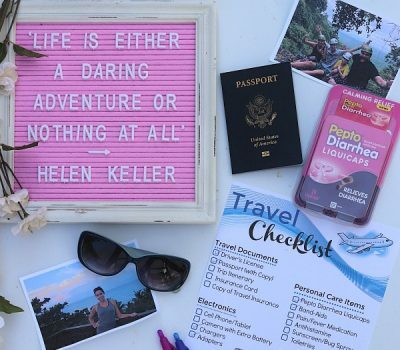 Wow those are amazing picture souvenirs! I bet the young athletes are thrilled at those. Closing and opening ceremonies of most huge sports events are always fun to watch. 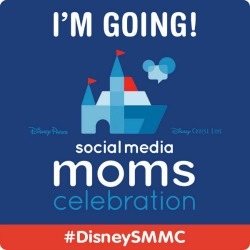 I have a few athletic nieces and nephews who would LOVE to visit this part of Disney! What a great experience! !